The pearl is an exceptional thing. Do you know how pearls are made? They starts as a speck of sand, caught inside an oyster. The tiny speck grows and grows, until one day someone opens the oyster… and wow! A beautiful pearl! It’s a true tale of patience and transformation. Sigh! The people of the South Pacific know pearls well. In the Cook Islands, people have been diving for pearls for generations. Most people dive with special equipment that helps them breath under water… but not Cook Islanders! Those courageous people can stay underwater for long periods of time, swimming down as far as 75 feet! It takes practice and strong lungs, but it’s worth it — pearls from the Cook Islands are treasured all over the world. Do you know what makes Cook Islands pearls so special? 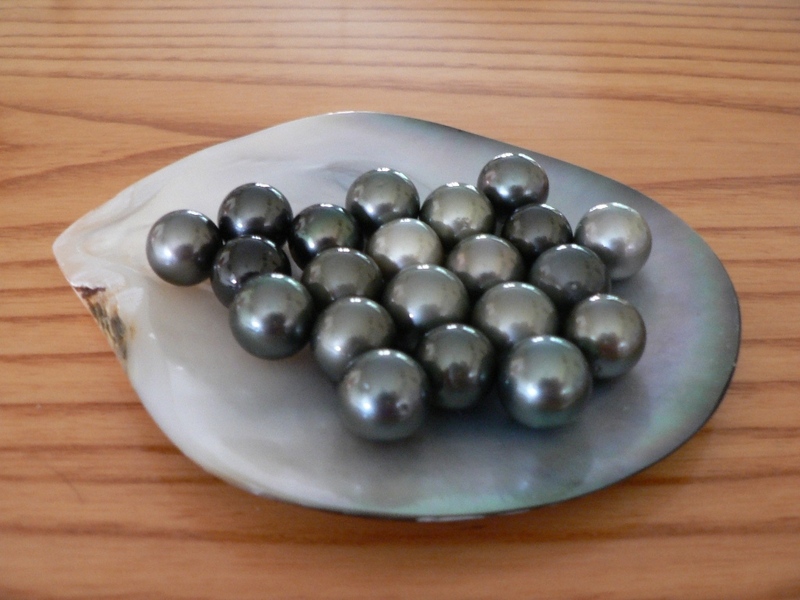 Most pearls are white but pearls from the Cook Islands are black. Each pearl is different, because each is made by a different oyster. They’re never perfect, but they’re something better than that: They’re unique! The best place in the Cook Islands to go pearl diving is Rarotonga, the capital city. Don’t worry — you don’t need to hold your breath for minutes or swim 75 feet down. There are lots of trained pearl divers to help you find the perfect oyster, carrying that special gift: the pearl.